Fastest 5k times across all divisions at the state meet! 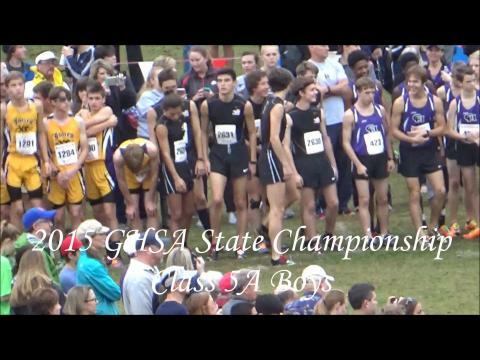 Video montage of the 6A Boys race. After an amazing 4th place finish in 2014, can Alexander pull off winning it all this Fall? Shewbert and Page will dance again for the Overall title. Here's a Giant Photo Gallery from All the Boys Races at the GHSA State XC Meet, broken down into subfolders by Matt Almand. Check Out this Photo Gallery from the Girl's Races from the GHSA State Championships broken down into subfolders for each race (excluding AA) from Matt Almand. 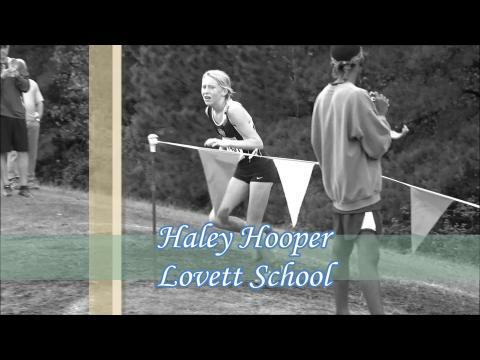 Video montage of the Class 6A Girls race. The AA Boys team race will be epic. As no Public School team has won a State title dating back to 2000 & 2001 when Cartersville pulled it off! Since that era, the closest any Public school has come, was Bob Roller's East Jackson squad who was a distant 2nd to Westminster back in 2009. This year's AAA meet will be very exciting! The forecast calls for mud and AAA will be the 5th and 6th races of the day out of 14 so it will be sloppy, but not as bad as later in the afternoon. When there's this much on the line, nobody cares about the weather, it's GAME ON!! Congratulations to all AAA State qualifiers and good luck on Saturday. AA gets to run after 1pm, which could be perilous for less experienced runners on a chopped up course. Lovett is a lock to win the team title unless their bus breaks down. 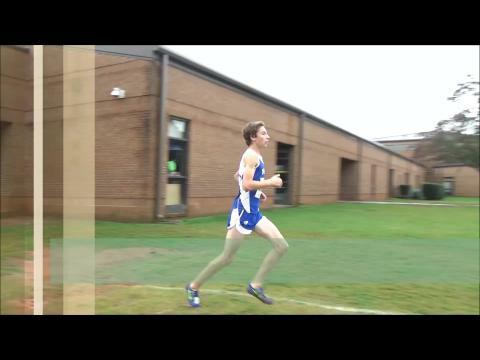 Watch Race Footage Snippits for FREE of the 5A, 3A & A Private Boys races! Complete footage coming.. This was the fastest race of the day using the 'Slipperation Slope' route. Why, and how is it, that those pesky Angoras from Clarkston run so well at State the past 3 years? This year's AAA meet will be very exciting! The forecast calls for mud and AAA will be the 5th and 6th races of the day out of 14 so it will be sloppy, but not as bad as later in the afternoon. Chase Kennedy, 3A State Champ, and his brother Chandler of East Jackson give MileSplit a post-race interview. AAAAAA Girls got the shortened route to race on and made the most of it posting the fastest times of the day. Mill Creek's squad and Lindsay Billings are 2015 Champs. Preview of the class 1A (private) boys, more to come. This is only a preview. Lovett ran away with the AA Girls State title led by Overall Champ Serena Tripodi and Haley Hooper. After this race, the course was re-routed..
AAA Boys had their day in the MUD, with the Kennedy twins once again sweeping the top 2 spots and Blessed Trinity repeating as Team Champs. 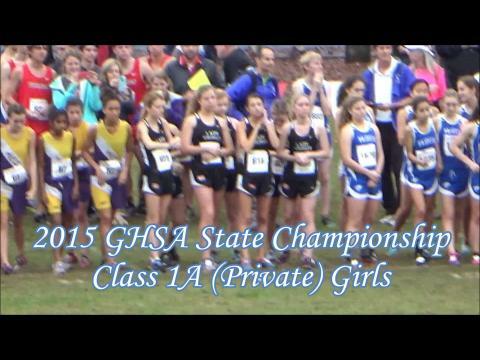 Video footage from the Class 1A Girls race! 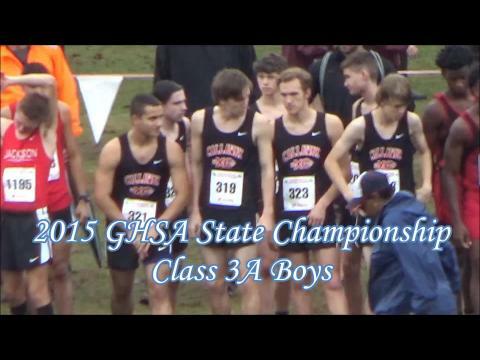 Video footage from the class 4A boys race! 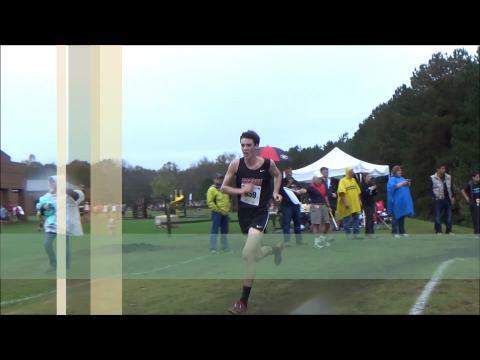 Post-race interview with Class 5A State Champ Jake Shewbert of Flowery Branch High School. 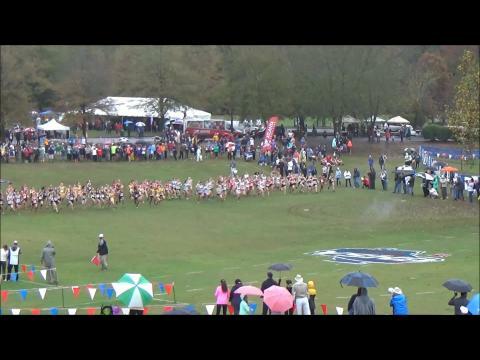 Race footage from the class 5A girls. 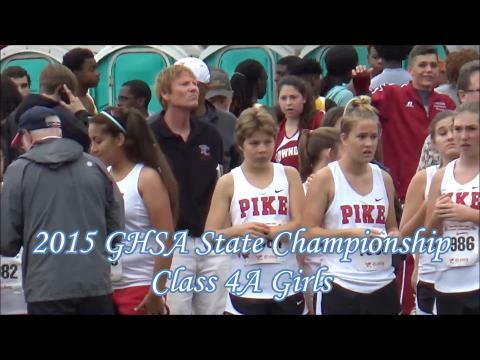 A Public Girls will also get their due Saturday at the GHSA State Championships. Commerce edged defending State Champ Towns County at the Area 4 meet. Post-race follow up with Senior Lindsay Billings of Northview High School on her individual state championship win. Westminster's Girls make it 2 straight titles easily winning the team title, while it was the Sue Ann Morales show in the Individual race. 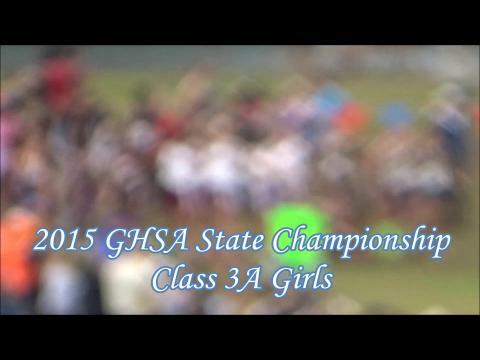 A Public will get their due Saturday at the GHSA State Championships. This could be a very tight race to determine the Boys Team Champ. 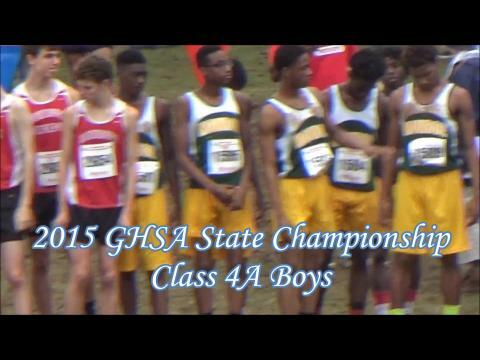 This a preview clip of the boys 5A race. 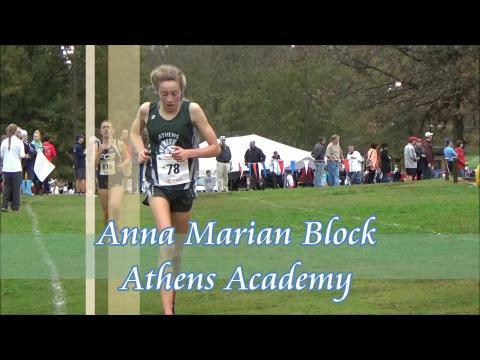 Post-race interview with Class 1A State Champ Anna Marian Block of Athens Academy. This is only a preview. Featuring the girls 5A race. This is only a snippet of what's to come for the 3A boys. This is a mashup of a few clips from the 3A girls. More to follow. 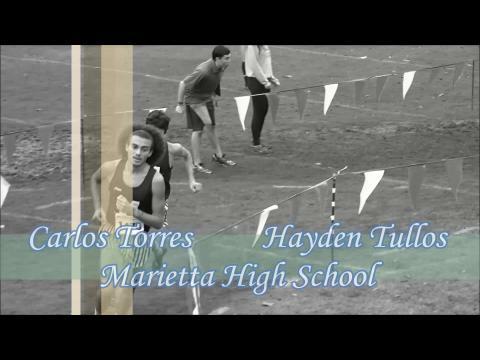 Class 6A State Champ Carlos Torres and runner-up/teammate Hayden Tullos (Marietta High School) give MileSplit a quick post-race interview! 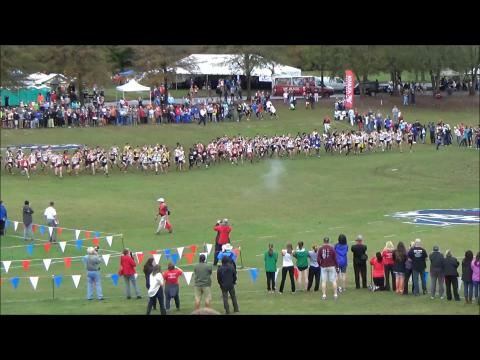 Video footage of the 5A boys race. 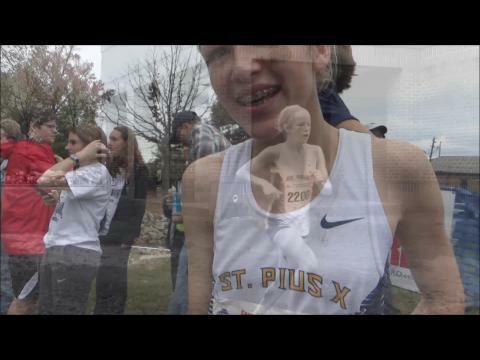 Post-race interview with State Champ Ellie Glenn, freshman from St. Pius X.
Upstart, Drew Charter out of Atlanta, destroyed A Public. Blake Bargeron from Telfair County wins Overall title going away.. Towns County, like in 2014, Sweep the A Public Team and Individual Titles. Hannah Whitehead defends the Overall as well. 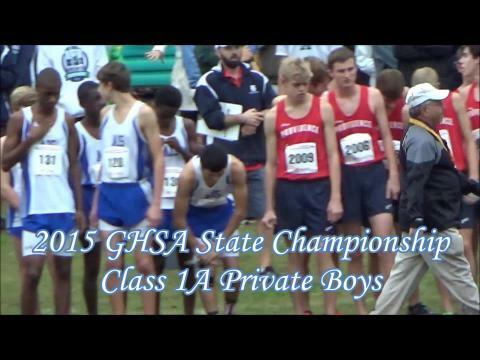 Post-race interview with Sophomore Griff McCauley of Paideia, State Champion in 1A Private Boys! 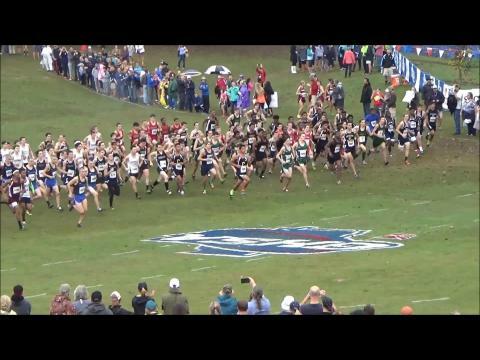 Race footage from the class 4A girls. Post-race follow up with individual state champion Serena Tripodi and her runner-up teammate, Haley Hooper. Serena and Haley led their team to a team championship at the state meet! 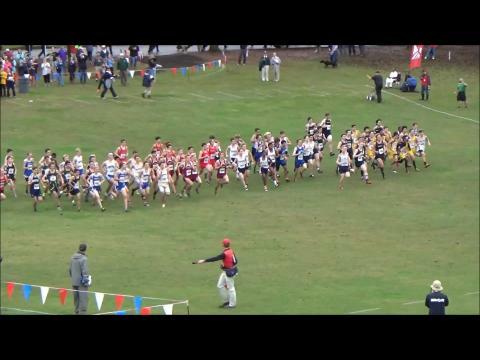 Video footage of the class 3A boys race. 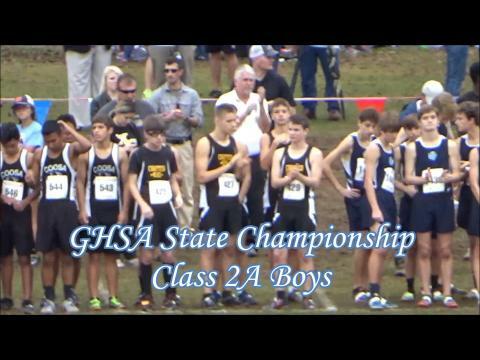 Video footage of the class 2a boys race! 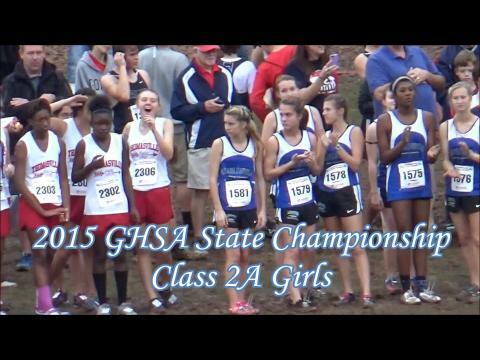 Video footage from the class 2A girls! 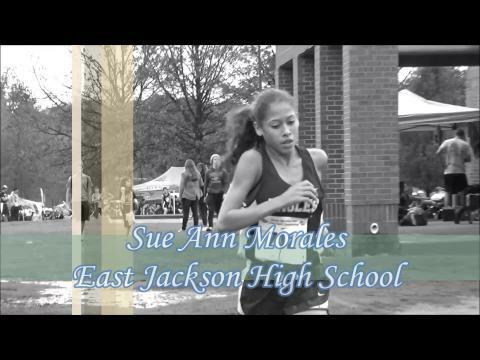 Interview with Sue Ann Morales of East Jackson on her individual title win in Class 3A Girls! 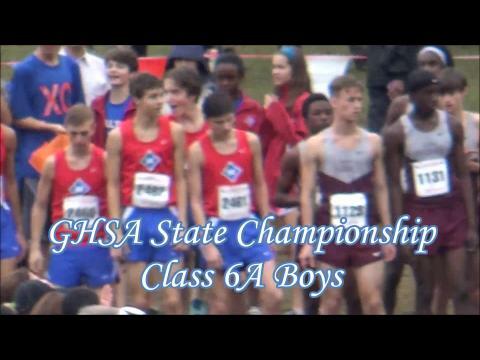 Class 1A (Private) Boys race footage. 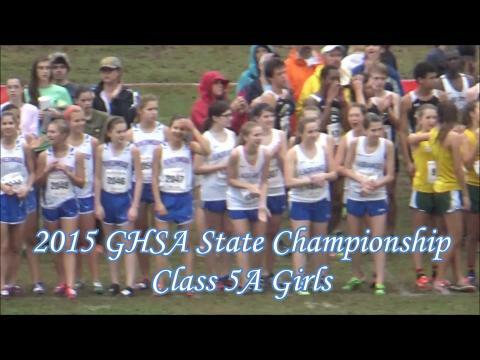 Class 3A Girls race footage.